Lorraine has built her career on the practice of coaching others to succeed. Her career began in the health and weight loss industry, coaching hundreds of clients to reach their weight loss goals. As a Director and Regional Trainer for Jenny Craig Inc., she has hired, trained and mentored dozens of employees in the areas of sales, customer service and management. After a layoff in 2013, Lorraine took the opportunity to make a career change into human resources. She has since supported the human resources and recruiting efforts at numerous firms in Information Technology including Lockheed Martin. Lorraine still actively recruits within the Intelligence Community (IC) for Integrated Intel Solutions. In 2015, she made another career change and founded Career UpRising. Now, her personal experience as a job seeker and professional experience can be put to work for you! Lorraine holds a M.S. 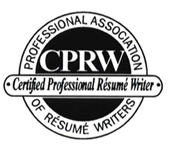 in Human Resources Management as well as certifications in Human Resources (SHRM-CP), Resume Writing (CPRW) and Career Coaching (CPCC). Career UpRising, LLC is located in the Washington DC metro area but serves clients all across the globe! Listen to Lorraine's inspirational podcast, Career UpRising, on InFlowRadio.com, iTunes, Spotify, Google Play and more!